Monday to Friday: 20 mins preparation or select from the cake cabinet. 200 off street parking spots. Paid parking Monday to Friday from 8:30am until 5:30pm. The Tea Lounge is the perfect place to enjoy an array of savouries, finger sandwiches, freshly baked scones, jam and cream, and a selection of tempting cakes and slices. The finest estate leaf teas are served, together with a full selection of espresso coffees, juices and an extensive wine list. Afternoon tea buffet includes a glass of Lerida Estate Zenzi sparkling wine. Food was very disappointing. Sandwiches were dry, meat pies tasted frozen and reheated and scones were like little rocks that had only risen 1 to 1.5 cm high. If you can't nail a scone for high tea then you are in trouble. As usual it was a very pleasant experience but being seated on a settee and not on a chair was not ideal and the noise level made conversation difficult at times. Lovely old building, beautiful music, However the choice, quality and presentation of the food is slipping whilst the price has now become unaffordable. Hot food (small pies and vegetable balls) were luke warm at best, Cucumber Sandwiches were gluey with cream cheese and poorly cut. Deli Ham and Salami with mass produced cheese I can buy weekly at the supermarket - does not constitute high tea fare to me. Scones in which the melted butter is tipped into the flour and not rubbed in...Also, why am I constantly looking for staff ?Because although Coffee/tea is unlimited it cuts down on the amount served? This was a really disappointing experience.Not recommended. What a great place to spend an afternoon with friends. The high tea was superb both in quality and variety supported by a good wine list. The lounge has a delightful comfortable atmosphere with great ambience I would highly recommend the experience and will certainly return. I've also enjoyed Christmas lunch and seafood buffets. A have High Tea at the Hyatt regularly and always look forward to it. The nibbles change so there is always something new to try, and the staff are wonderful. I really loved the live piano playing - very classy. It's a beautiful dining area which has such a great feeling of space. It is annoying to be seated close to other guests so that any conversation is not private. At the Hyatt we felt like we were in our own little haven. I highly recommend high tea here for a special occasion. Not at all what I expected or remembered from some years ago. Food very ordinary, extremely overpriced for what it was, and very poor selection. Service slow and unhelpful. Atmosphere dull and boring, not even any background music. 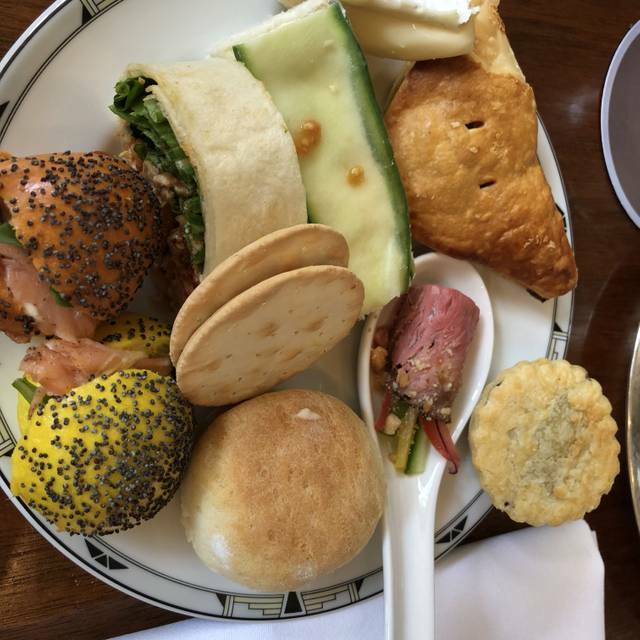 Enjoyed the high tea on Sunday, but felt that there could be more in the selection of savoury foods. Service was impeccable. We enjoyed the lovely pianst playing and the view into the garden. It was quite busy for a Saturday afternoon but would visit again. 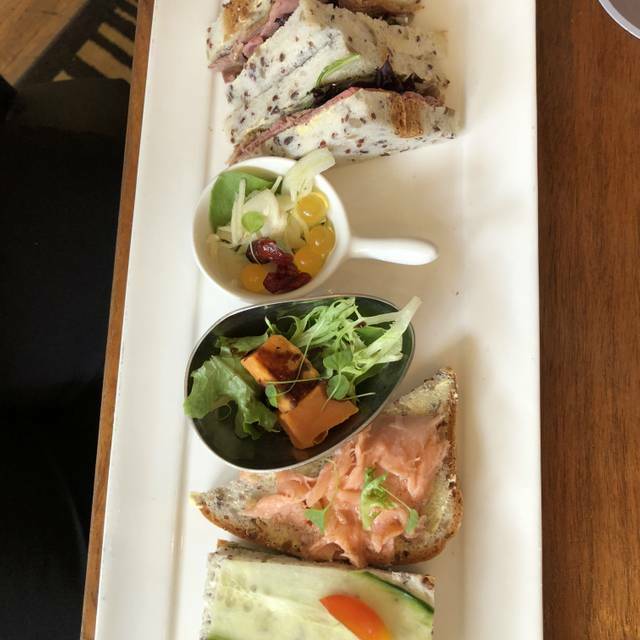 A little disappointed there wasn't more cheese or fruit selection and the scones could be delivered hot to each table rather than asking for them to be 'heated up'. Variety in the buffet was dissapointing given the price. 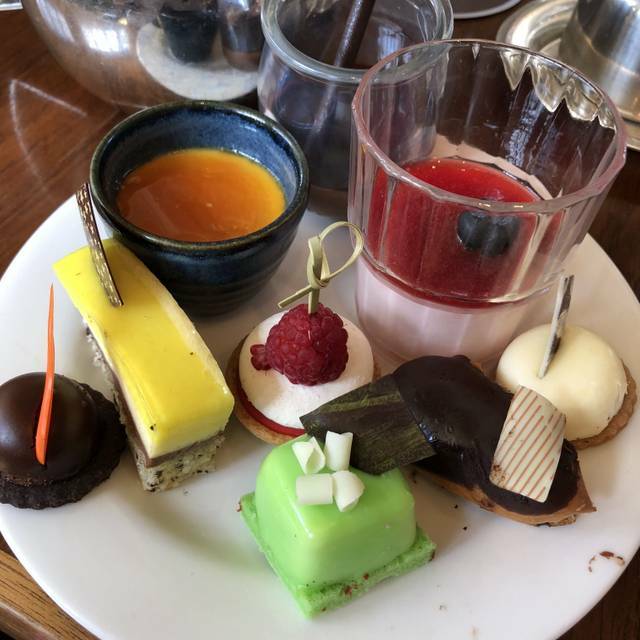 I recommended the High Tea for our girls weekend away as I had been before several years ago. It was still good but in my opinion not as good as it once was. All 6 of us agreed that scones should be the centrepiece of a good high tea. They should be fresh, light and fluffy and unfortunately the scones we had on the day were terrible! Small, flat and dry. I remember there also used to be a lovely warm dessert with a vanilla custard (maybe apple crumble?) but it was not there this time. The other food was nice. Some commented there was not enough crackers/cheese. Otherwise, the venue and service are still as good as I remember and I did not regret recommending it. Wasn’t to the same standard as the last time I went. The gluten free bread used was not nice, there are much better and softer options that can be found at the supermarket. No gluten free cake options, and the tea was too strong/overbrewed. For a high tea, the tea should be made well. Would not come again in a hurry. A delightful setting and a great place to take someone elderly or just to spoil someone. The food was very good but one or two items were not particularly special. Overall, a lovely experience that I would recommend to anyone. Drove from Sydney for high tea to celebrate a 70th Birthday. Absolutely beautiful afternoon, ambience was perfect and staff brilliant especially the lovely touch of a birthday cake, totally unexpected. Only downfall are the awful scones, but despite that I will certainly be returning. Ordered a lemon drop martini and received a straight vodka martini after the server came back to clarify twice. Very happy with the service and the food was amazing. 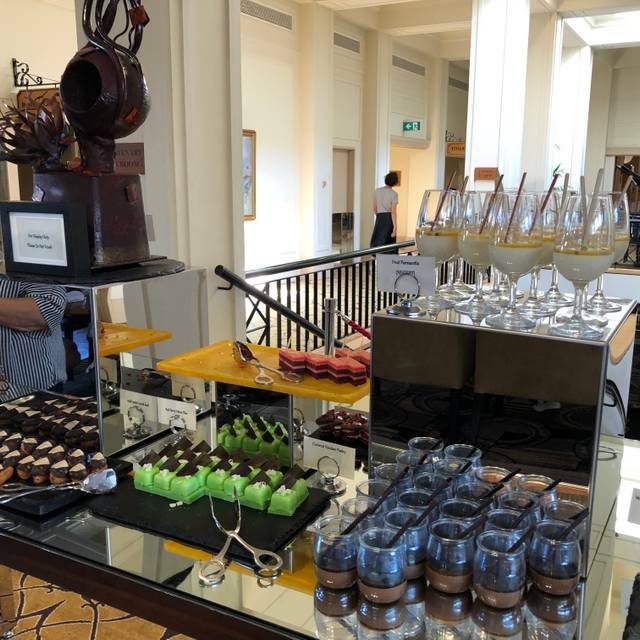 High tea at the Hyatt is always a special treat whether it's for a special occasion or not!